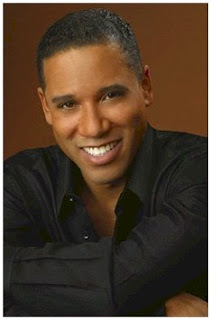 BARIHUNKS ®: Celebrating the Premiere of "Porgy of Bess"
George Gershwin's "Porgy and Bess" premiered on October 10, 1935, so we thought that we'd celebrate the piece today. Despite its operatic structure and having been conceived as an "American folk opera," it really wasn't part of the standard repertory until the Houston Gran Opera performed it in 1976. 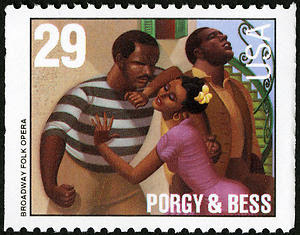 "Porgy & Bess" has crossed into multiple genres with performances on Broadway, by pop stars, jazz musicians, opera singers, country & western singers, and even R&B/Hip Hop performers. The song "Summertime" has become the most popular piece from the opera and it has been recorded successfully by dozens of famous artists and was even a hit for Fantasia on "American Idol." The opera combines European classical music styles with American jazz and regional music idioms. The opera deals with African-American life in the fictitious Catfish Row in Charleston, South Carolina, in the early 1920s. At Gershwin's request, the opera is performed with all-black casts and is now seen in opera houses around the world. However, many people have rejected the opera based on the stereotypical racist portrayal of Southern blacks at the time.